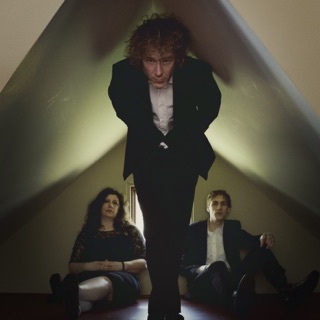 A dreamy folk-pop band from Pennsylvania who found niche success in the alt-rock community of the early '90s, the Innocence Mission's wistful sound is led by the husband-and-wife duo of Don and Karen Peris. Along with bassist Mike Bitts and drummer Steve Brown, they released a trio of well-regarded albums for A&M, the most visible of which was 1995's Glow, which yielded the folky sleeper hit "Bright as Yellow," a staple of modern rock radio and the Empire Records soundtrack. After slimming down to an acoustic trio with the departure of Brown, the band ushered in a successful second phase as a chamber folk act beginning with 1999's critically acclaimed Birds of My Neighborhood and continued into the 2010s with late-period highlights like 2007's We Walked in Song and 2018's Sun on the Square. The band formed in Lancaster, Pennsylvania, where all four members attended Lancaster Catholic High School together. During their teenage days, they played at local clubs and high-school events and even provided the music to a high-school production of Godspell in 1982. After scattering to attend various colleges, the quartet re-formed in 1986, recording their debut EP, Tending the Rose Garden, later that year. The young band found an early champion in Joni Mitchell, who helped pair them with her then-husband, producer Larry Klein. Recorded at Klein's personal studio with co-producer Dennis Herring, the Innocence Mission's self-titled debut for A&M made a respectable showing on the Billboard pop charts and helped establish them in the modern rock scene occupied by similarly minded folk-pop acts like 10,000 Maniacs and the Sundays. Using the same production team, their 1991 follow-up, Umbrella, was an altogether more focused effort, though in spite of critical plaudits, it failed to bring them more widespread commercial success. Their third and last release for A&M, 1995's Glow, featured a less textured dream pop sound and continued to focus on the band's increasingly acoustic sound. Behind the single "Bright as Yellow," the Innocence Mission found a niche in the alt-rock world thanks to some high-profile placements on the television show Party of Five and the movie Empire Records, as well as several tours with Natalie Merchant. After parting with both A&M and founding drummer Steve Brown, the Innocence Mission began a new phase that would establish their direction over the coming two decades. With Brown only making a single appearance on 1999's Birds of My Neighborhood, they effectively became a folk band, with Bitts moving largely to upright bass and the focus resting on Karen Peris' acoustic songs. Just prior to the album's release, they contributed a cover of John Denver's "Follow Me" to a 1998 tribute album curated by Red House Painters frontman Mark Kozelek. The song was also included on Birds of My Neighborhood. The Innocence Mission began the millennium with Christ Is My Hope, a self-released collection of traditional hymns and folksongs (with all of the profits donated to hunger relief charities). Small Planes, a compilation of songs captured during their late-'90s period between the release of Glow and Birds of My Neighborhood, arrived in 2001, with Don Peris issuing his own solo debut, Ten Silver Slide Trombones, that same year. Released in 2003, Befriended marked their debut for Badman Records as well as their first unthemed collection of new material since 1999. Another themed release, this time a collection of lullabies and traditional songs called Now the Day Is Over, appeared in 2004, followed in 2006 by another solo outing from Don Peris. Arriving in 2007, We Walked in Song became one of the Innocence Mission's more widely praised albums of this period, receiving a more widespread global release and even cracking Billboard's Independent Albums chart in the U.S.